Korean Wave star Jang Keun-suk (31) has announced his intention to join the army. With this intention in mine, Jang confessed that he has worked extra hard for the drama and his character. He said, “I concentrate on every single scene I take and am working hard to make it a ‘life character. '” However, the passion he put into the role is not solely because it is probably his last for the next two year — he also really likes the story. 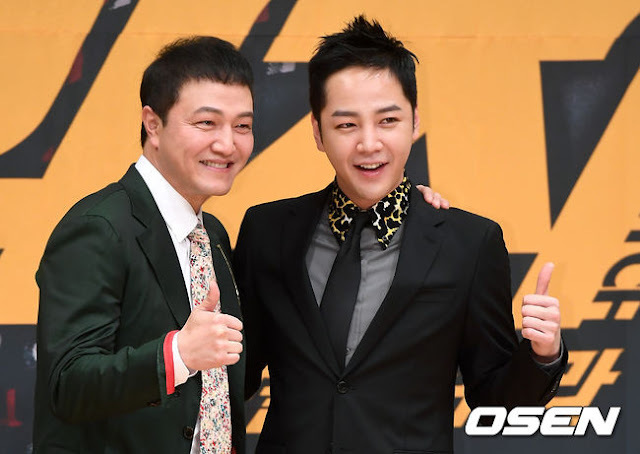 “Switch: Change the World” follows the life of Sa Do-chan (Jang Keun-suk), as he switches over from talented con artists to prosecutor, Beak Joo-soo. As a result of this transition, the drama hones in on the boundaries between lawful and unlawful. When Jang first saw the script last fall he reveals he “read it all at once” and did so at least five times. For him, it was exciting and exhilarating. As he read, he developed an image of Sa Do-chan, and felt he could pull off the role in this big, action-packed drama. Meanwhile, Jang has not provided any more details about his plans for military enlistment. Nevertheless, he and his agency will not make any moves until promotions for his current drama and film concludes. Jang Keun-suk has acted in a numerous network shows and films. Some of his recent projects include “A Korean Odyssey,” “The Royal Gambler,” and the movie Human, Space, Time and Human, which came out in February.